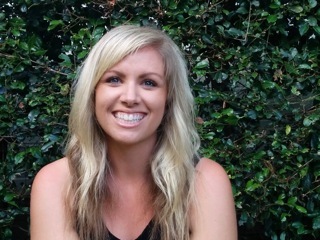 This month we welcome Erin Moorcroft to the KEA family. She has arrived in Ireland from Sydney Australia and has joined the yKEA team as a mission partner with CMS Australia. Despite my name, I don’t actually have Irish heritage. I was born in Australia and have spent most of my life on the sunny Northern Beaches of Sydney. In my final year of High School I went on a study camp with my friends, excited for a week of spending time with them. I never thought the camp would change my life. But it was on this camp that I heard and understood for the first time who Jesus is and what his death and resurrection means for me and my life. My relationship with God has grown and continues to grow and impact every part of my life. Having trained and worked as a primary school teacher in Australia and Tanzania, I was keen to know and understand God’s word more. So I returned for more study, this time at Sydney Missionary and Bible College. It was here that God ignited my passion to be teaching kids about Him – rather than Maths and English (as important as they are! ), to be teaching kids about God’s kingdom, His deep love for them and the extreme He went to in sending His son so that we can be in a right relationship with Him. There is nothing greater than knowing God, it’s a life long journey filled with such depth and richness. Although there are many children in Sydney who don’t know this great news, there are many well-resourced churches and people. God put it on my heart to work overseas. God is the God of the whole world, and His word is for ALL people, from all countries and of all ages. Over many years and countless prayers, God led me to the west coast of Ireland. Sent by Church Missionary Society (CMS) Australia, I am here partnering with the Church of Ireland KEA diocese to work alongside churches in their ministries for kids and youth. Erin will be based in Sligo and will be partnering with churches in our Diocese in their ministries for kids and youth. WE thank God for calling Erin to our part of the world and pray that God will bless her ministry among us.